When I look at the many photos I’ve taken in Hawaii, nostalgic is a mild word for what I feel. Longing is more like it. It’s not that Hawaii is “paradise” as so many people say; it’s not paradise. Every morning when I got out of bed, I shook out my slippers to make sure no centipedes were lurking. And if I got up in the night for the bathroom, wariness was always in order for the same reason. And I’m talking about loooooong centipedes, as much as six to eight inches long. My sister Jeanne taught me to pick them up with long tongs, cut them in half (over the toilet) with scissors, and flush them down. That’s not exactly paradise. But I felt at home there in a way I feel at home in few places. The land, the wind, the wide stretches where I could see far felt like mine. There were wild pigs in the brush and their tusks were enough to cause serious damage. Or more. My brother-in-law Robert’s friend, another Robert, would come down to the land from time to time and go hunting just to clear them out some. There were cattle loose on the land. Driving back to the house at night was always a challenge as the cattle slept on the road – a warmer spot than rocks. Ah, but the mornings. The photo is the view out my window where I sat each morning, writing. 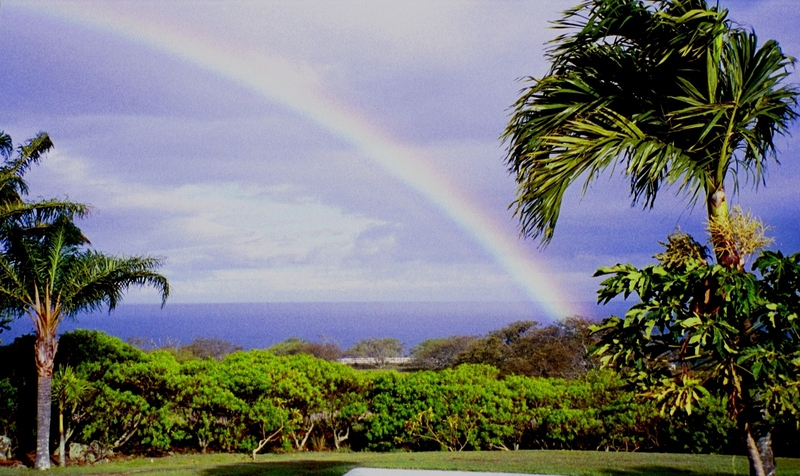 Rainbows didn’t always greet me in the morning, they were more an afternoon or evening thing, but when I see this photo, I remember ocean sounds and gargley myna bird conversations. The birds woke early, before dawn. And after I moved down near Volcano, I’d hear the jungle wake every morning, a cacophony of birds warming up for the day’s concert. But this view is from my sister’s house, looking west to the ocean. And when I see it, I am home. Here’s a pair of companions from legend and song. And they aren’t breaking up anytime soon. We visited this pair on our infamous road trip to California. Cliff’s a big Eagles fan from waaaaaaay back and had to stop and give homage to Winslow, Arizona. 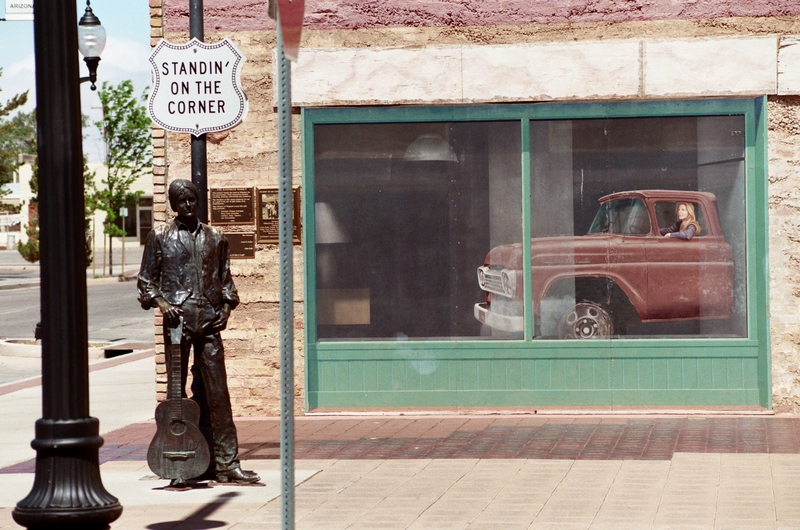 Little did we know the couple were still there “standing on the corner.” Well, the singer is on the corner and the girl in the red flatbed truck is reflected in the corner window. What’s great is that there’s an actual red flatbed truck parked on the street just out of frame. 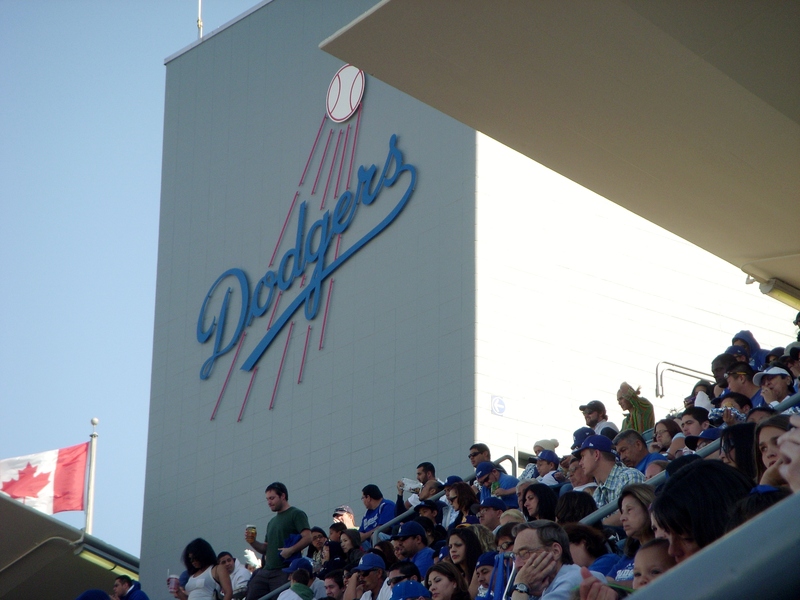 Weekly Photo Challenge: The sign says…. And isn’t that the best summertime sign there is? Here’s a photo from our trip to Paris. We’d climbed up the famous hill to Sacre Cour on a holiday (silly us) and after visiting the church, we wandered through the commercial district of Montmartre. You remember, that famous area where Edgar Degas, Henri Matisse, Toulouse-Lautrec, Pierre-Auguste Renoir, Pablo Picasso, et. all, lived at one time or another. The Moulin Rouge sits just down the hill. 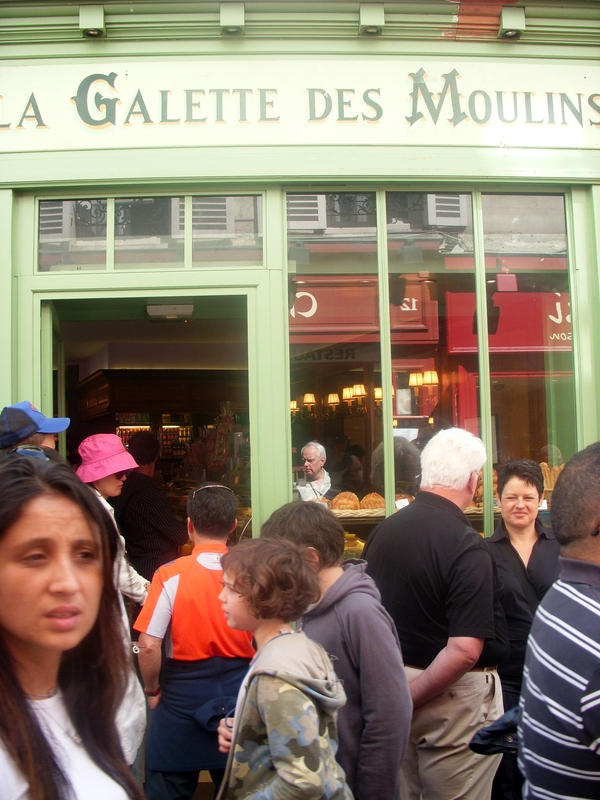 I took a shot of this bakery, La Galette des Moulins, because it’s said Gertrude Stein shopped there. I took several shots, but this is my favorite. You can see the bread lined up on the window and a window reflection of a lovely red restaurant with a row of shining lamps. And in the bottom corner, just behind the bread, there’s a reflection of my husband Cliff, watching me as I take the photo. At the end of our trip to Paris a couple of years ago, we went out to Versailles. We were both too tired to tackle the full palace but walked down the back steps and along the pathway bordering the reflecting pools. I wanted to see Marie Antoinette‘s Petit Trianon more than anything else. The 2006 film, Marie Antoinette directed by Sofia Coppola, had captured my fantasy and fancy. 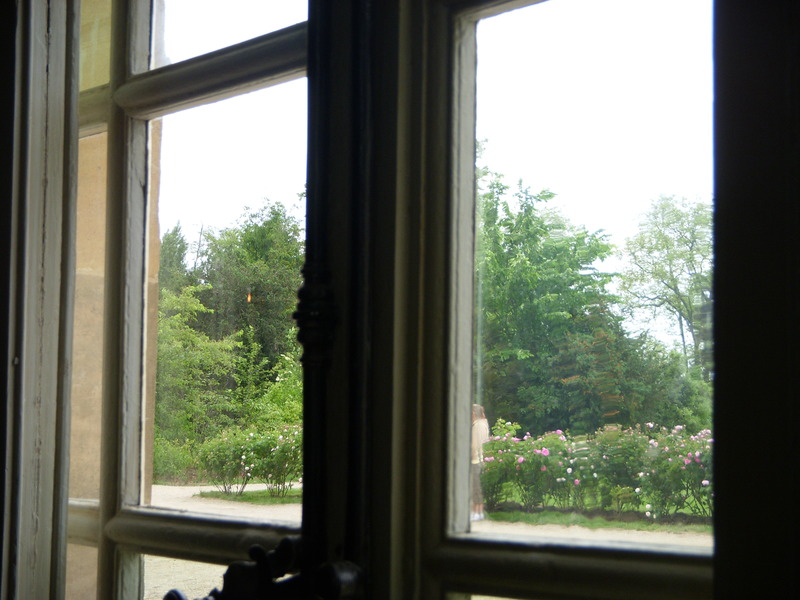 I could understand wanting to run away from Versailles to a more simple spot although the Petit Trianon, while much simpler than Versailles, is hardly our camper up on the farm. So here are three “beyond” photos from our journey. 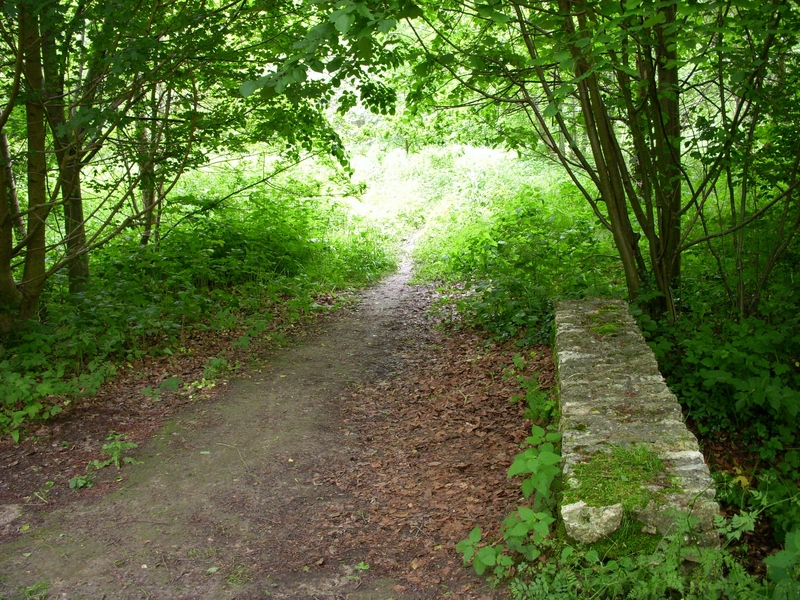 The first is a small bridge, easily overlooked, on the walk from Versailles’ reflecting pools to Petit Trianon. I stared beyond the stone bridge into the surrounded wooded area and wondered who took this path – servants? Lovers? Couriers? Marie’s small carriage rushing to escape echoing, grand halls? Sunlight poured into the glade, hiding footsteps and stories. Petit Trianon is not petite and I don’t know how we came upon this next passageway. 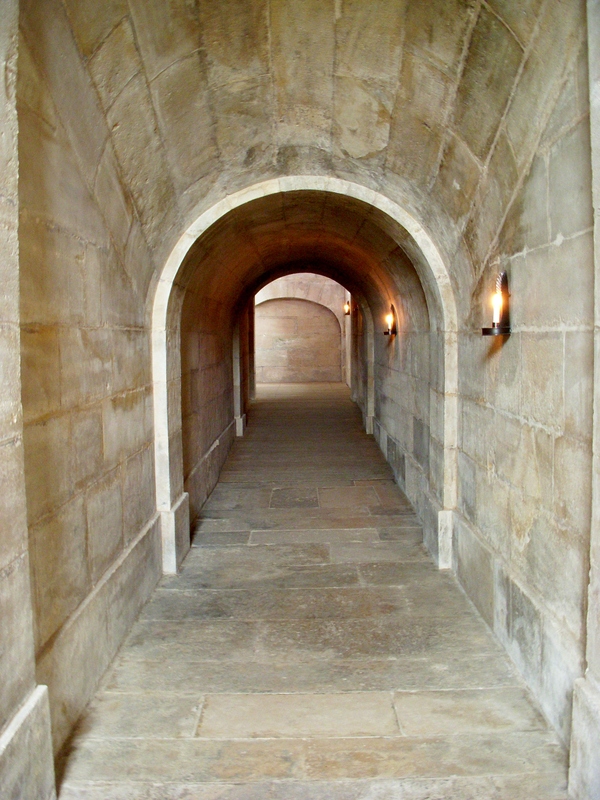 I wondered what lay beyond the end of the corridor and around the corner. I could have gone to see, but I felt caught up in mystery, as if we were walking through ghosts and whispers, as if I would disturb some delicate balance if I were to enter this stone corridor. And then, at last we found what is said to be her bedroom and a window looking out over rose gardens and her Temple of Love, there, beyond the roses. The glass old, wavery and watery, with shifting images depending on the angle where you stood. And just at the edge of the wooden sash, a figure, or partial figure, beyond what I could see or know.